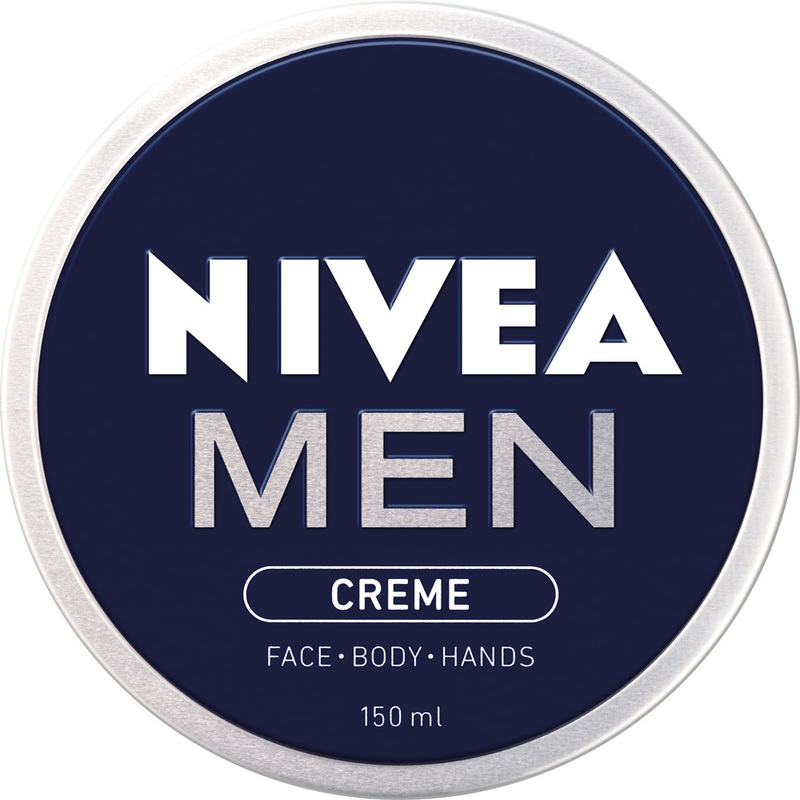 NIVEA Men Creme is a moisturiser for the whole body. It is specially formulated to care for men’s skin. The light and non-greasy formula absorbs fast and is suitable for face, body and hands. It features a fresh, masculine scent. The moisturiser is housed in a double-embossed screw-top aluminium tin. After trying unsuccessfully for a long time to convince my husband he needed moisturizer and even offering up my nice stuff as sacrifice he resisted. So I found this at woolies for half off a few weeks ago and left it on the counter. He asked me what it was and lo and behold he's been using it. Such great marketing by Nivea to make it smell manly and throw the words men on it! I think he really likes it as I can tell he's been using it often! My hubby rarely comments on new creams however, this one he's not stopped talking about. He's got sensitive skin, he tells me this feels nice on his skin, is not oily and doesn't leave a residue...he also thinks it smells nice! A little goes a long way...I'll be buying this again for him! I'm writing this review on behalf of my husband of course but I adore the fragrances of the Nivea Men range, it is very pleasant and never overpowering. This Nivea Men Cream is no different. My husband loves the smell and feel of this cream and he said it makes his skin feel 'smooth and un-irritated, especially on the face after shaving. We both love the idea of the 'classic' look of the container, the cream being in a (re-usable) screw-top aluminium tin. The screw top prevents the lid from coming off when travelling and you know if the lid is on correctly in an instant. My husband uses this cream mainly on his face as he is not a person who feels comfortable moisturising his whole body. This cream is very light and non greasy and it feels like you are wearing no cream at all. This is important for my husband as otherwise he would not have considered using this product at all. Pssst - I use this product as a hand cream sometimes. Any man who wants a fantastic, affordable product that does its job.